This is the second item from the box which I was recently sent by 3M Australia. Thanks a lot for these! Something that I do quite often is write lists. Writing lists is just one of those things which every one does at some point. To Do lists, shopping lists, pros and cons lists, lists of movies to watch, lists of people you don’t like, etc etc. 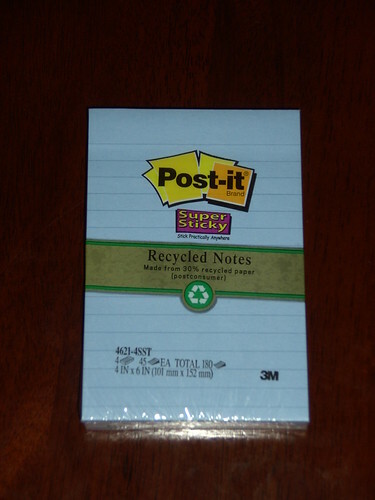 Post-it have made it easy for you to take those lists and put them wherever you want. The pack consists of 4 pads of 45 sheets. 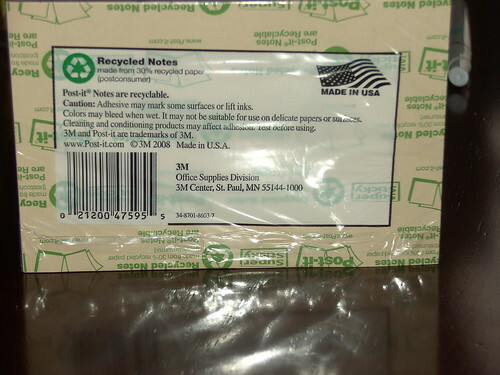 They are made from 30% recycled paper, which is quite nice, especially since it doesn’t loose any quality from the standard notes. 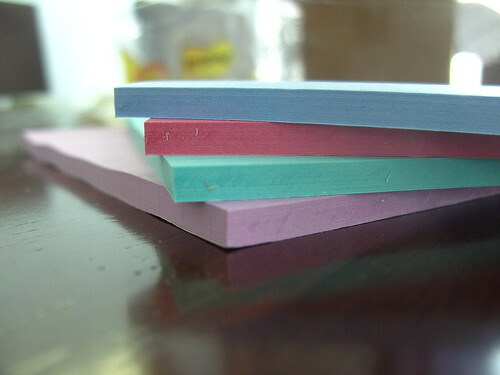 They are also part of Post-it’s “Super Sticky” range, giving them a bit more sticking power. The colours are rather nice. They aren’t so bright they hurt your eyes, but they still stand out if you write something and stick it to a wall, cupboard, piece of paper or anything else. 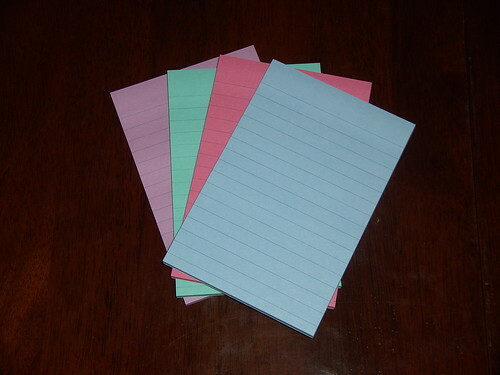 This pack consisted of a pastel pink, green, purple and blue. As I mentioned before, and as you can see by the writing test below, being 30% recycled doesn’t hinder the paper in comparison to the normal Post-it Notes. You can read my review of the original 3×3 notes over here. The main feature which makes these notes amazing for lists is the lines. 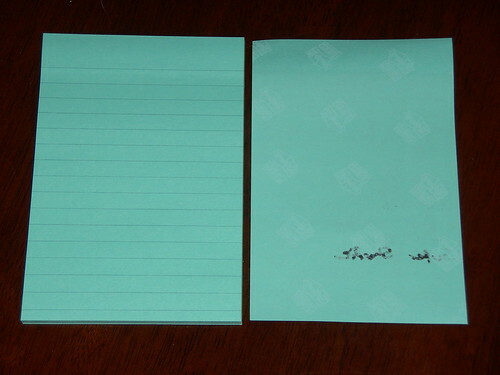 I know Post-it do a whole range of lined notes, but these 4×6″ ones are almost the perfect size. Enough lines to make decent lists, and enough width to get what you want to list in there. 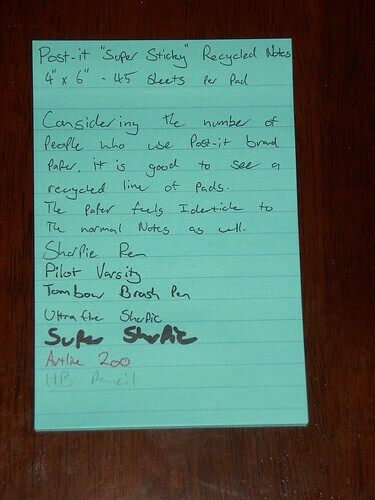 There is little to no show-through, as with the 3×3 review, but of course the Super Sharpie showed through a bit. I feel confident writing to the note still stuck to the pad, and not getting any ink on the next note. As I mentioned earlier, these notes are part of the “Super Sticky” range. I decided to test this by sticking them repeatedly to everything I could find. Simple. The original 3×3 yellow notes stuck well for 7 “re-sticks”, then lost most of their tack. These notes lasted 10 resticks. While that doesn’t sound like much more, I do have to point out that when they did stick, the grip was a lot stronger, and they took almost twice the effort to remove. 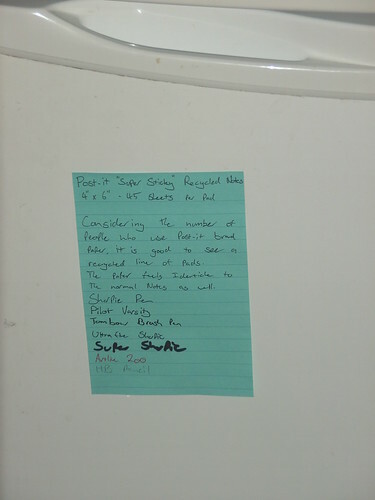 These notes are amazing, and I highly recommend them for anyone who writes lists on to loose paper at the moment, because not only are these lined, but you can stick them to things! Amazing! Another use I found for them, is because they are exactly the same size as a standard photo, you can stick them in albums easily, and use them as indexes. Alternately, because they are lined, you could stick on opposite a photo and write a short background for it, or even stick on on the back of the photo itself. You can pick them up almost anywhere, I know for a fact the local Officeworks and Big W both stock them.